Blue is arguably the most popular of colors and evokes a vast range of meaning culturally and personally. Blue moon, the blues, blue morning, blue sky, blue jeans, bluebells, blue bonnet, perhaps Picasso's Azul Period (1901-1904) best characterizes the melancholy and poetic power of blue. Blue conveys trust, dependency, and intellect. That is why blue is so often used in corporate branding and corporate portrait backdrops. Blue also has physical power. Merely being in a blue room can reduce your heart rate and body temperature. It's no wonder why people love the beach, it's a giant outdoor meditation hall. 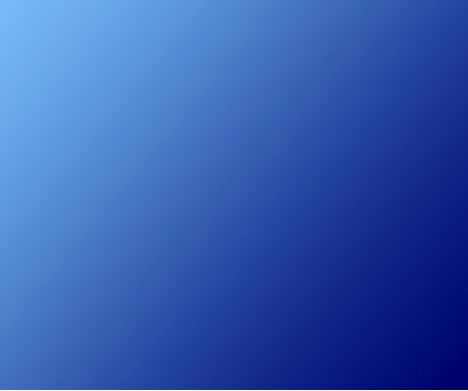 Blue is one of light's primary colors (RGB). Photographers often confuse blue with cyan. They are not the same and understanding this will help fine-tune your choice of colors. 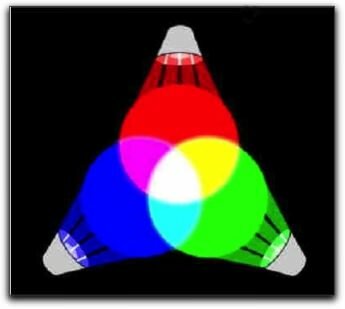 Light's primary colors are known as additive colors. They are called additive because mixing the three together (adding) in equal portions creates white light. Mixing red, green, and blue in varying amounts creates all the colors of the light spectrum. Throwing cyan into the mix changes things. Cyan is one of light's secondary colors, Magenta and yellow create the secondary triad which is also known as subtractive primaries. Subtractive colors are defined by the light source reflecting colors. Green light plus blue light creates cyan. Combining CMY in equal portions creates black - these lights take away white light, thus they are known as subtractive. CMY are the colors used in printing. Black (K) is added to ensure a true rich black. 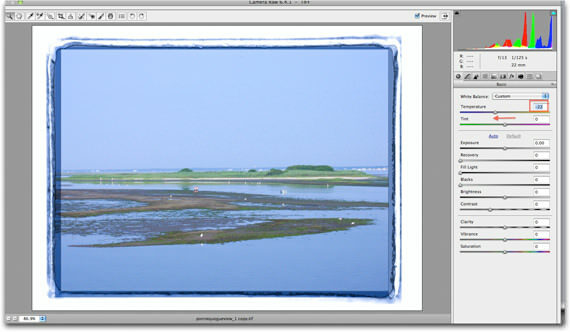 Blue, as a light primary, plays an important role in the overall color of our images. This is where white balance and color temperature come into play. White balance measures the light source and establishes a color temperature for the scene. In theory, the camera's white balance establishes a neutral white or gray as opposed to a blue white, blue gray, or a blue biased flesh tone, etc (For the record, red and green can also be dominant, but this article is focused on the color blue). With a correct white balance, the image should reveal true-to-life color. But all cameras process digital data differently and the colors might not be what you envisioned in your mind's eye. Blue light is described as cool. Temperature, of course, is relative. The Kelvin scale expresses the temperature of color in an absolute form. For example, a cool blue sky measures 10,000 K, and strobe lights are rated at 6000 K (The degree symbol is not used when discussing Kelvin temperatures). 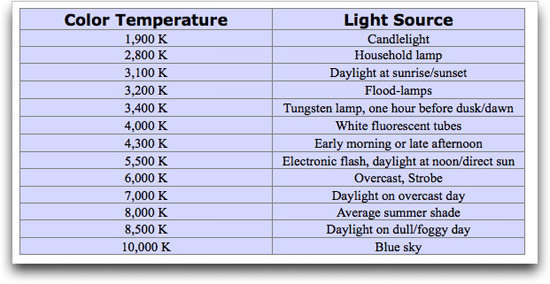 Below please find a chart of common light sources and their approximate Kelvin values. Artistically, sometimes it makes sense to purposely alter or mis-match the white balance, to make an image more blue or cooler. If you shoot in RAW, you have the opportunity to change the white balance and color temperature at whim in post processing. 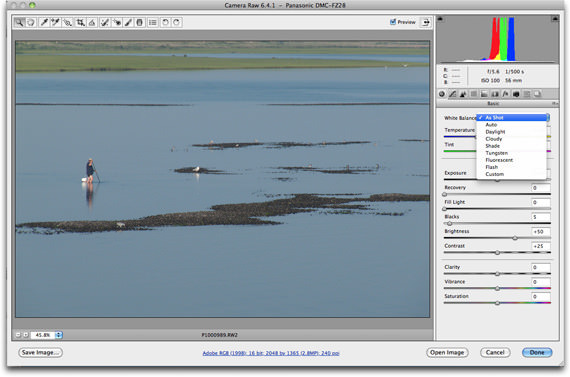 But JPEG shooters (and tiff files) can also take advantage of white balance adjustments using Adobe Camera RAW (ACR). 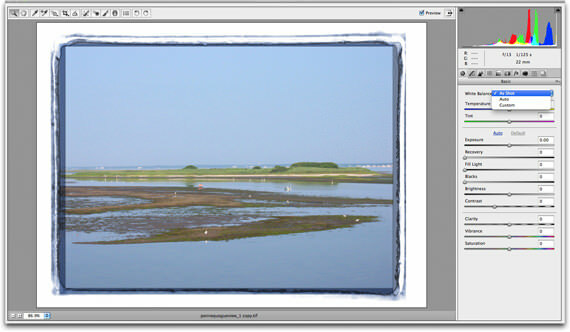 To open a file in ACR, you'll begin in Adobe Bridge, select File>Open with ACR (Make sure you have enabled this in the Adobe Photoshop CS4, CS5 or Photoshop Elements Preferences Panel). Please Note: For the RAW shooter, the temperature scale in ACR resembles the chart I have provided. For the jpeg shooter or tiff file manager, the values are different and you will have less color control, but still this remains an effective method to fix or alter the color and therefore the success and meaning of your photograph. The following photos illustrate how the color blue changes when white balance and color temperature are adjusted. The first image opens in ACR using the "As Shot" preset (my RAW conversion default, because I like to see how the camera interprets my image at capture). In the second photo, to tweak the overall colors, I select the white balance eyedropper tool and point to the white bucket. Notice the shift in the color blue. 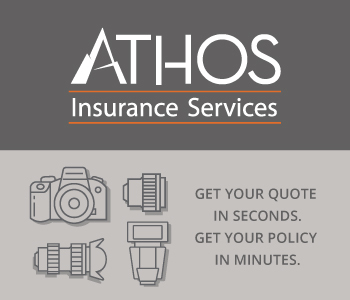 But, to set a white balance, it is actually better to find a neutral gray area of the image. 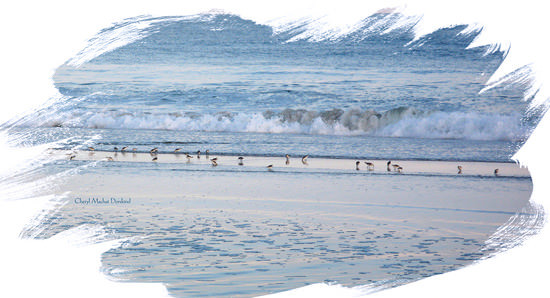 I'll select the gray feathers of the seagull in the mid-ground. As a result of this new selection, the color temperature shifts and the overall color changes subtly. Finally, for art's sake, I change the temperature to fluorescent. The screen shots below illustrate the white balance options and color temperature sliders when using a tiff or jpeg image in ACR. You'll notice a limited white balance menu, but still, the temperature sliders can greatly alter the photo. Color theory, color symbolism, psychology, physics, artistic expression, white balance, color temperature, and the color wheel are some of the topics explored in my class, All About Color. 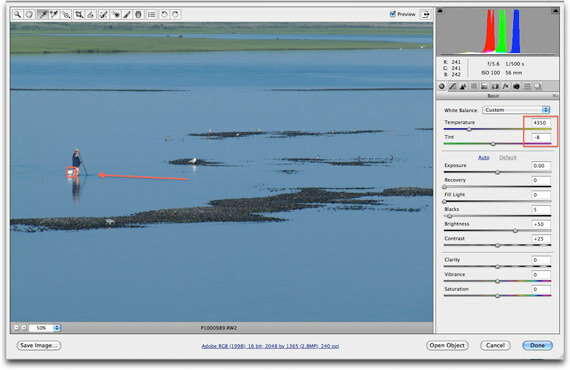 As illustrated, there are many tools at the digital photographer's disposal to change color. ALL About Color provides the foundation for you to develop a trusted eye so you know when and why to use the "right" colors. This class will help portrait, stock, still life, landscape, and product photographers enhance their images and use color strategically. For beginning students, ALL About Color will ignite your passion for photography. Join me and enrich your vision. And if you are color blind (like 8% of the male and .05% of the female population), you are still welcome. I will teach you to compensate for the colors you cannot see.